I think Major League Baseball games are really pricey. And to spend the moolah to take the entire family to see a mediocre team...it's gonna take some convincing. 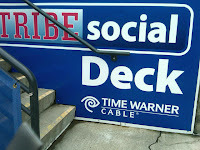 I was fortunate enough to be asked by the Cleveland Indians organization (@tribetalk on Twitter) to be one of the first invitees to its Tribe Social Deck. I learned many a things on the Social Deck Sunday. 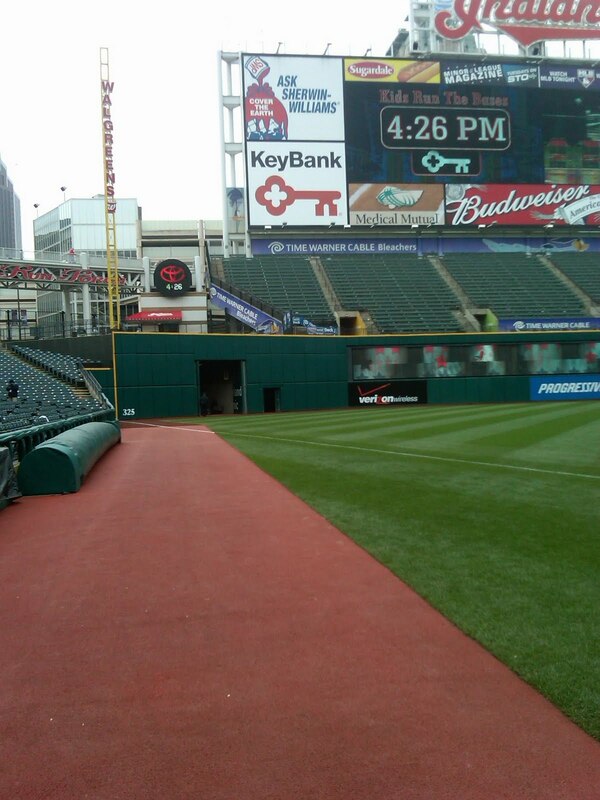 1) The Cleveland Indians really understand the importance of social media. So much so that they team hired Rob Campbell to oversee all of the organization's social media sites. Rob came by the Social Deck several times. 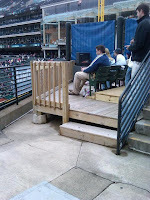 He explained how the deck was meant to be like a press box for those who tweet and blog. He brought us box scores and all. 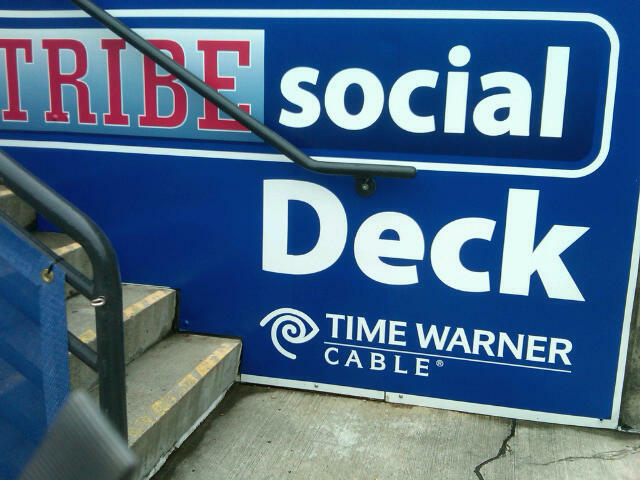 Later in the game, Curtis Danburg, Director of Communications and Creative Services, told me the Indians are trying to beef up its wifi access to the deck. Pretty cool. 2) The Social Deck is family friendly. It's location was perfect. No obstructions. Clear shot of the field. Not to mention they outfitted the deck with a TV so I didn't have to crane my neck to see the scoreboard. 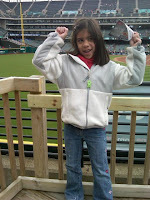 And because we were out of the way, Amara could stand and cheer and shout and no one minded. Well no one except the rest of my Tweeps. 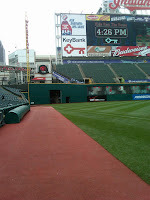 3) Real sports fans, you may want to look away for this observation: You have a great view of Grady Sizemore's tush. Seriously. 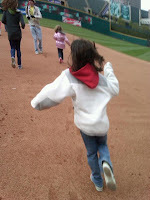 4) Progressive Field has made the entire day even more family friendly than it was before. 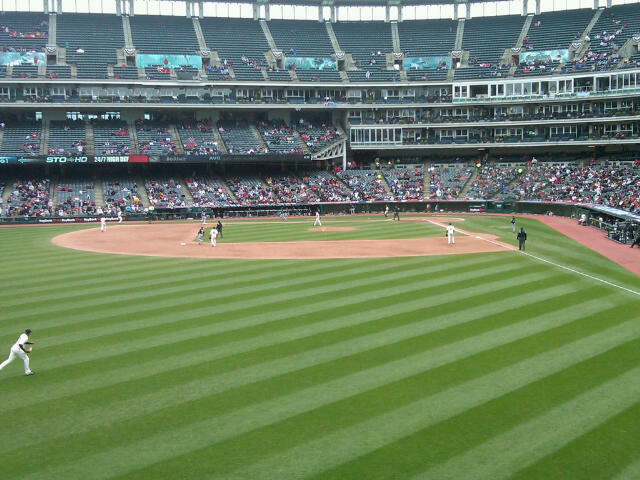 Danburg tells me the kid fests the Indians host on Gateway Plaza will be open for several innings after first pitch. 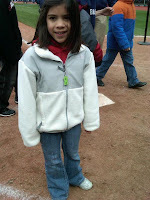 The team will allow in-and-out privileges for parents and their children, which is great for restless ones like Amara. 5) And because Family2Amara was lucky enough to hit a Sunday game, Amara was allowed to run the bases after the Tribe win. I knew the team allowed this but didn't realize they do it every Sunday. And because of less than desirable attendance, parents were allowed to slide home too. 6. Other random things I learned: great SWAG on Mothers Day (Slider slippers!) and August 25th is when the team gives away the plush Mustard doll! Amara has Ketchup and Onion so needs to complete the set. 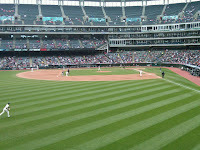 A huge thanks to the Indians for a great day at the ballpark. 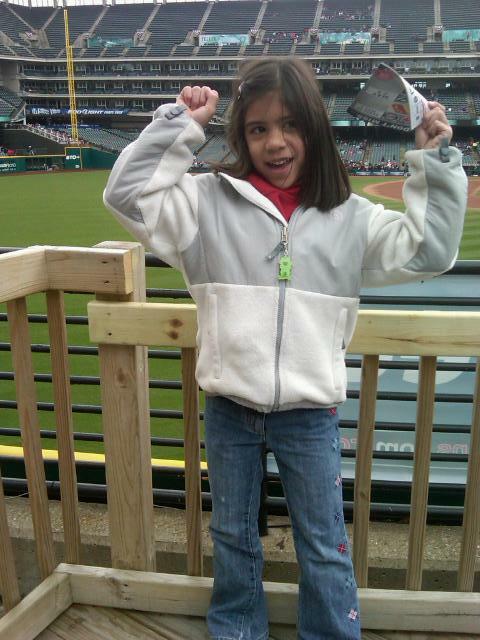 Family2Amara will definitely be back to Progressive Field! Looks like so much fun! Love the running the bases shot. I'll definitely be sending out an email in hopes of getting an invite too.